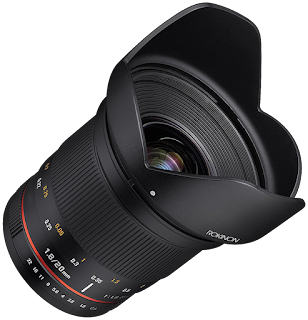 The Rokinon 20mm f/1.8 AS ED UMC Lens for Sony E-Mount recorded on Amazon priced at $439.00 & FREE shipping in the US. Lowest ever! EDIT: Recorded priced at $319.00 for Nikon F-Mount, and $413.32 for Canon EF mount.